New forms of collaborative and open leadership are becoming an imperative as an increasingly networked and online society takes hold. Yet the political contours of political life in a digital world are often centralizing in many respects, constraining the emergence and traction of new forms of leadership and new governance models. 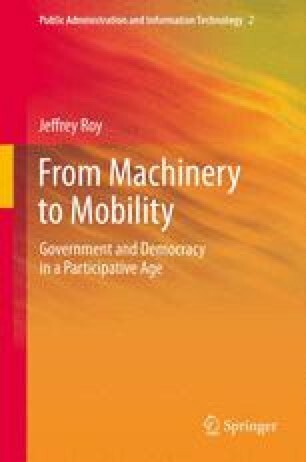 Whereas mobility promotes and personifies openness and networks, the political and organizational foundations of the “machinery” of government are secrecy and bureaucracy. Understanding this clash is central to dissecting the challenges faced by the public sector today—a precursor to orchestrating any adaptation that must find ways to refurbish rather than abandon traditional public sector underpinnings with respect to behavioral values and culture and organizational and political structures.